French forces arrived in Indochina with British weapons, including the Bren gun. 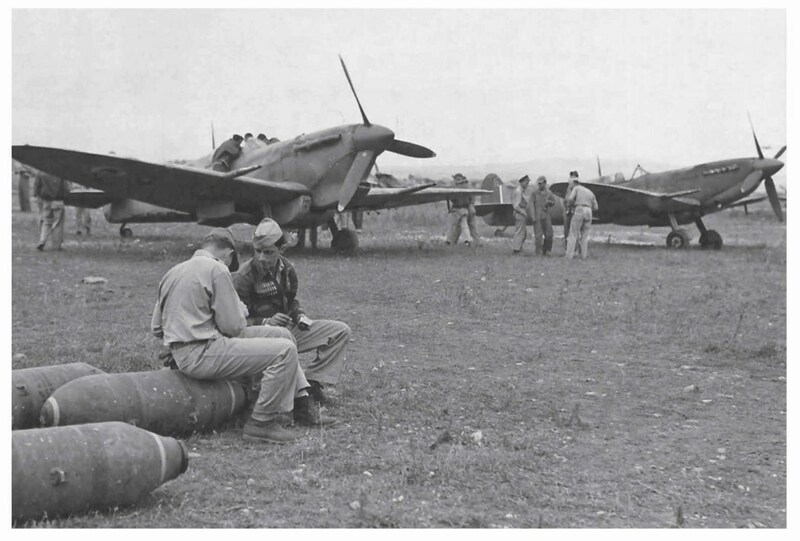 British-supplied Spitfires were deployed to Indochina by the French air force. 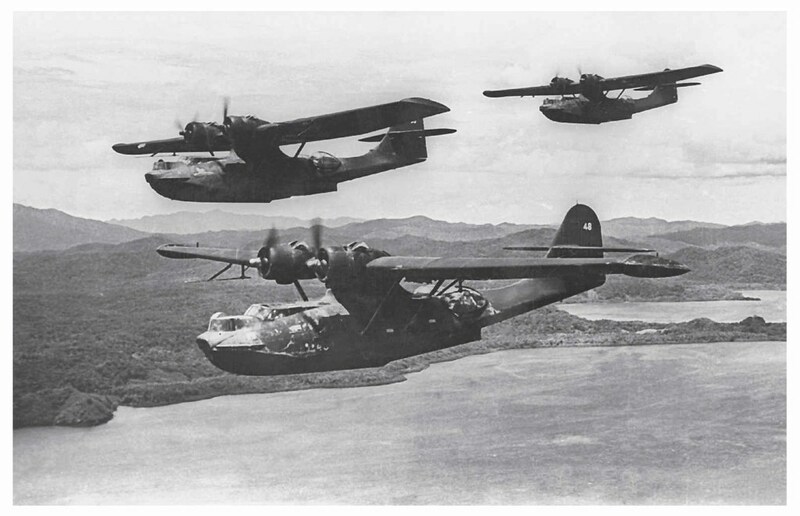 The French navy’s first aircraft in Indochina were American-supplied Catalinas in late October 1945. At the end of the Second World War, and despite everything going on in Paris and across the rest of the country, Charles de Gaulle never forgot about Indochina. Nor did he forget his pledge to reclaim it for France. Thanks to the Potsdam Conference in the summer of 1945, it would be an incredibly difficult task. Nonetheless, he had just the man for the job: Philippe Leclerc de Hauteclocque, who was one of his most trusted Gaullist generals. To protect his family while serving with the Free French, the Comte de Hauteclocque assumed the name Jacques Leclerc. He became a national hero. In November 1945, Leclerc was formally added to his family’s name. During the closing months of the Second World War, General Leclerc’s 2nd Armoured Division had helped with General de Lattre’s destruction of the Colmar pocket, before making a dramatic dash to Hitler’s mountain lair at Berchtesgaden. Afterwards, Leclerc led his division as the vanguard of the victory parade in Paris. Not one to be idle, he requested that de Gaulle send him to Morocco. Instead, de Gaulle informed Leclerc that he proposed to redesignate the wartime French III Corps to become the headquarters for an expeditionary force destined for Indochina. This would be created using the 3rd and 9th colonial infantry divisions. Leclerc would be commander-in-chief of this force, answering to Admiral Thierry d’Argenlieu, the newly appointed High Commissioner for Indochina. De Gaulle told d’Argenlieu that his incredibly complex mission was to recover Indochina from the British, Chinese, Japanese and the Viet Minh, and to re-establish French sovereignty in the region. D’Argenlieu and Leclerc were to make no concessions to the Vietnamese nationalists. All they were to offer, once firmly in control, was limited internal autonomy to each of the states of Indochina within a French Union. Leclerc would be in charge of all foreign affairs, defence policy and internal politics. While de Gaulle and his supporters were determined that Indochina should be returned to French authority, Ho Chi Minh aspired to full independence for his country. Ho and his supporters saw the impending post-war vacuum as their best chance to attain this. However, before he could even contend with the French, Ho was to find himself caught between the British and the Nationalist Chinese. During the Potsdam Conference, at which the French were not represented, it was agreed that Chiang Kai-shek’s Nationalist Chinese would accept the Japanese surrender in northern Indochina, while the British would accept it in the south. The 16th Parallel was to form the dividing line. The defeated Japanese had two armies in Indochina and Thailand. British intelligence assessed them to number about 70,000, but this was actually too high. About 28,500 men of the Japanese Thirty-eighth Army were deployed in northern Indochina and Thailand. The Japanese Army of the South in southern Indochina, under Lieutenant General Yuitsu Tsuchihashi, numbered about 30,000, including air force and naval personnel. De Gaulle knew that Washington, with its anti-colonial polices, was behind this deliberate snub, which immediately served to undermine French colonial authority in the region. In practical terms, though, the French were not in a position to accept the Japanese surrender. They did not have the resources to swiftly send large numbers of troops to Indochina to disarm the Japanese army. Leclerc’s men would not reach Indochina until October/November 1945. In contrast, the British and Chinese were much closer to hand. Such niceties mattered little to the Japanese, who simply wanted to be repatriated as soon as possible. In the north, perhaps in the name of mischief-making, they were more inclined to hand authority over to Ho Chi Minh, and many of their weapons were passed to his Viet Minh guerrillas. Anything that inconvenienced the Chinese was seen as a good thing. Ho certainly had no love for the Chinese nationalists as they had imprisoned him in 1942 and established the Vietnam Revolutionary League (Dong Minh Hoi) as an anti-communist counter to his party. He was only released after he convinced them he was a nationalist first and a communist second, and that they had a common enemy in the Japanese. At the end of the war, it was not long before a large Chinese army of ‘liberation’, numbering some 150,000 under General Lu Han, pillaged its way over the border. It was formed of units whose loyalty to Chiang Kai-shek was suspect, so he was probably glad to have them out of the way and preoccupied. Certainly, Lu Han’s ultimate sympathies lay with Mao. He was to defect in 1949. It was not long before these Chinese troops had alienated the Vietnamese, French and Japanese in Tonkin and north Annam. France’s initial attempt to reassert sovereignty lacked power, having the air of a comic opera. In late August 1945, two teams, led by colonels who were to act as the administrators for the north and the south, were parachuted in. To the north, Colonel Messmer was immediately arrested by the Viet Minh and forced to flee to China. Colonel Cédile, sent to the south, was ignored by the Viet Min and was left at liberty to liaise with the local French authorities. Ho Chi Minh moved from his stronghold into Hanoi, hoping to pre-empt the Chinese as much as the French. On 2 September 1945, he declared the Democratic Republic of Vietnam. Emperor Bao Dai, after abdicating, became chief counsellor to the new government. The communist-dominated Provisional Executive Committee of South Vietnam, led by Tran Van Giau in Saigon, acknowledged the authority of Ho’s northern government. Ho, however, was in a very weak position and had to agree with General Lu to dissolve the Vietnamese Communist Party and hold elections to create a broad coalition government. In France, after his appointment, Leclerc recruited some of his former officers from the 2nd Armoured Division, including his intelligence chief, Colonel Paul Repiton-Préneuf. He also quickly set about familiarizing himself with the region and its culture. Aware that the dark-skinned Cambodians were the mortal foes of the Vietnamese, he forbade the deployment of his colonial divisions’ West African units to Indochina. This instruction was not strictly adhered to, nor did it deter the deployment of Algerian and Moroccan troops. During September 1945, en route to Indochina, Leclerc stopped off in Ceylon to consult Admiral Lord Louis Mountbatten, Supreme Allied Commander South East Asia. He also spent time in India, Malaya, Japan and Singapore where he held briefings. He then represented France during the Japanese surrender on board an American battleship in Tokyo Bay, and again at the Japanese surrender in Singapore. Mountbatten had discussed British plans, known as Operation Masterdom, to deal with southern Indochina. This envisaged the movement by air to Saigon, via Bangkok, of the 80th Infantry Brigade, part of Major General Douglas Gracey’s 20th Indian Division, plus elements of two RAF squadrons and an Allied Control Commission. The latter was to assist Allied prisoners of war and oversee the repatriation of the Japanese. They would be followed by the rest of Gracey’s division, comprising the 32nd and 100th brigades, which would be shipped by sea. In total, almost 26,000 men and 2,400 vehicles were to be deployed to Saigon to maintain law and order. Once in place, Gracey was to wait until the French were in a position to reassert themselves. His task was simply to take control of the large Japanese garrison, which was to be achieved with the cooperation of Tsuchihashi. The British began arriving in Saigon on 12 September 1945, with a force consisting of Indian Army as well as British units under General Gracey. The 80th Brigade first flew to Bangkok from Burma, and then on to Saigon. It had been almost four weeks since the Japanese emperor announced his country would accept the terms of the Potsdam declaration, and over a week since the Japanese surrendered to MacArthur. In that time, law and order in Indochina had broken down in many areas, and Viet Minh nationalists had seized power in Saigon. Ironically, the Japanese army, once an occupying force, now found itself acting as policeman. Colonel Cédile and his supporters quickly persuaded Gracey to rearm the local French colonial infantry regiments, which had been held by the Japanese. Much to Mountbatten’s displeasure, on 21 September, Gracey declared martial law throughout Indochina south of the 16th Parallel. Two days later, he agreed to the takeover of the government by Cédile. Although Mountbatten felt that Gracey had overstepped his remit, London supported his actions. This was, after all, a French problem. Also on 23 September, a mixed force of French Gaullists, former Vichy troops and armed French colonists, stormed the Viet Minh headquarters in the Saigon town hall, where they arrested members of the Provisional Executive Committee. The Tricolore was hoisted, but most of the committee members escaped. The Viet Minh now knew that a smooth political transition of power was not going to happen. Gracey quietly ejected the Viet Min from the city and handed it over to the French. However, when the French 5th Colonial Infantry Regiment attempted to remove the last of the Viet Minh guards, they resisted, resulting in two French soldiers being killed. This sparked a riot on the night of 24–25 September, during which a mob ran amok, slaughtering French civilians. The following day, the Viet Minh set fire to the central market and attacked Tan Son Nhut airfield. Repelling this assault, the British lost a soldier, but killed half a dozen Viet Minh. Gracey now had a war on his hands, which was something Mountbatten had hoped to avoid. Nonetheless, their troops were hardened Burma veterans and highly experienced in fighting both jungle and irregular warfare. They were more than capable of facing down the ill-trained and ill-equipped Viet Minh. In early October, Gracey secured a ceasefire. At that point, Leclerc arrived in Saigon. Hostilities resumed on the 10th, when the Viet Minh set about a British engineering party near Tan Son Nhut, killing or wounding most of them. Once Brigadier Woodford’s 32nd Brigade landed as welcome reinforcements, they were sent into Saigon’s troublesome northern suburbs. When the Viet Minh attacked Tan Son Nhut again, they were once more repelled by Indian and Japanese soldiers. By mid-October, British forces had killed over 300 Viet Minh, while the rearmed Japanese accounted for another 225. Nevertheless, the Viet Minh stepped up their attacks across Saigon and attempted to lay siege to it. In response, at the end of the month Gracey launched an operation to drive the Viet Minh away from the city. Conducted by ‘Gateforce’ this included a full battalion of Japanese infantry who had little love for the Vietnamese. The latter killed fifty Viet Minh east of Saigon. When the mission was complete, almost 200 insurgents had been eliminated by the British task force. Ironically, the Japanese did not formally surrender to Lord Mountbatten in Saigon until 30 November 1945. Trouble was brewing elsewhere in Indochina. The Japanese had imposed a prime minister, Son Ngoe Thanh, on the pro-French Cambodian king. The former had broken all ties with France and sought to oust the monarchy. This made Cambodia highly vulnerable to the Viet Minh’s Cambodian communist allies. Leclerc quickly flew to Phnom Penh from where he ordered Thanh to attend the British military representative. When he did, the French arrested him and flew him to France. Having stabilized the situation in neighbouring Cambodia, Leclerc then turned his attentions to the countryside of Cochinchina and southern Vietnam beyond the confines of Saigon. Once the insurgents’ stranglehold on the city had been broken, Leclerc’s columns fanned out. The Viet Minh and other nationalist groups were poorly armed. They could not match French firepower, so they set about blowing up roads and bridges. Ambushes and snipers also served to hamper the French patrols. Leclerc relied on speed and surprise as much as firepower. He moved his men up the roads and waterways, often in the dark, to suddenly materialize in the towns and villages of Cochinchina. Infantry sweeps, backed by artillery and aircraft, then ousted the stubborn resistance. Leclerc also conducted a hearts-and-minds campaign by ordering his men to treat the locals with respect. There was to be no breakdown of military discipline with brutality or looting. 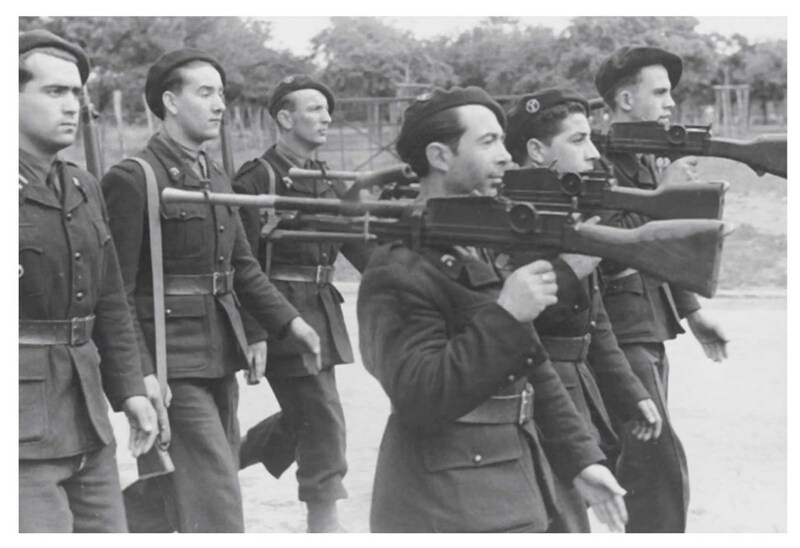 Leclerc knew that this had to be enforced because many of his reinforcements were former French resistance fighters who were used to doing things their own way. To the relief of French colonists and plantation owners, much of the region was successfully reoccupied and a network of military outposts established by the end of November 1945. Units were also sent into Cambodia and southern Laos to reassert French authority. Regaining northern Laos was more difficult because of the presence of the antagonistic Chinese, but a small contingent was deployed against local guerrillas. By this point, High Commissioner d’Argenlieu had arrived to take charge of Leclerc. Gracey happily handed over Saigon’s northern suburbs to General Valluy’s 9th Colonial Infantry Division in early December. The British 32nd Brigade was then redeployed to Borneo. The last major engagement involving the British occurred on 3 January 1946, when 900 Viet Minh attacked Bien Hoa. The defenders fought throughout the night without losing a single British or Indian soldier, whereas the attackers suffered 100 dead. That month, French troops, landing from the sea, entered south Amman to take control. Also at the close of January 1946, the British 80th Brigade relinquished its area of responsibility to the French and the 100th Brigade was withdrawn to Saigon. Gracey handed back southern Vietnam to Leclerc, and by the end of March, Britain had all but ended its seven-month operation. A few troops remained to guard the Allied Control Mission, which was wound up in mid-May. An estimated 2,700 Viet Minh were killed during Operation Masterdom. British fatalities amounted to 40 men. In pacifying Cochinchina, Leclerc lost around 630 dead and 1,000 wounded from a force of 50,000 men. Although French colonial authority had been successfully restored in the four regions south of the dividing 16th Parallel, the Viet Minh were far from defeated. Leclerc and d’Argenlieu hoped that everyday life could now be resumed, but they underestimated the growing strength of the Viet Minh and Ho Chi Minh’s determination to be rid of the French. The initial fighting had just been a taste of things to come. This entry was posted in France by MSW. Bookmark the permalink. FYI, Philippe Leclerc de Hauteclocque, nobility title is “count”, not viscount. Anyway, nobility are only for private use in the French republic, and they shouldn’t be mentioned with officer grade as in other nations army. This mistake is present in the official US history green books, and appears frequently in US/British sources.